If You`re here, means You know about DMARC or want to learn more about what is DMARC email protection. So, let’s travel to DMARC email protected world. REGISTER right NOW to start protecting Your email. DMARC, which stands for “Domain-based Message Authentication, Reporting & Conformance”, is an email authentication, policy, and reporting protocol. It builds on the widely deployed SPF and DKIM protocols. It adds linkage to the author (“From ”), domain name, by the help of published policies which helps the recipient handle the authentication failures, and reporting from receivers to senders to improve and monitor the protection of the domain from fraudulent email. Why is email protection important? Many senders have a complex email environment with many systems of sending an email, often including 3rd party service providers. It`s a complex task to make sure that every message passes the SPF or DKIM authentication. Some of the messages can be authenticated and others not, then email receivers will differentiate between real and fake messages. By nature, spam algorithms are error-prone and need to constantly evolve to respond to the changing tactics of spammers. Senders get very poor feedback of their mail authentication deployments. Unless messages return back to the sender, there is no way to determine how many legitimate messages there are. The scope of the fraudulent emails that are spoofing the sender’s domain is also unknown. This makes troubleshooting of mail authentication issues very hard, particularly in complex mail environments. 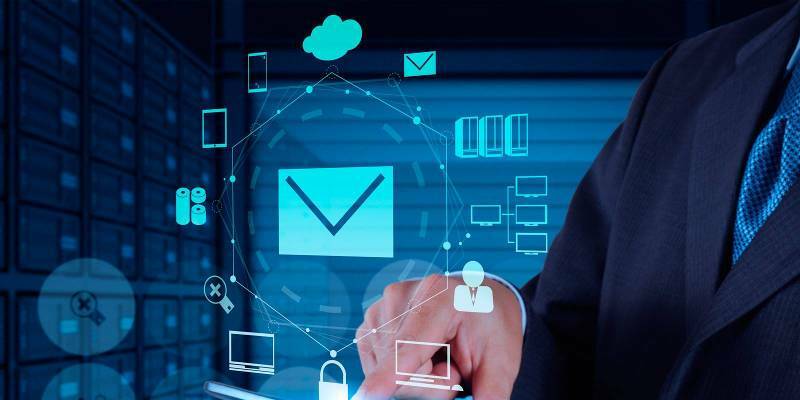 Even if you are sending legitim messages, moreover, You have authenticated mail infrastructure, again email receivers will be aware to reject unauthenticated messages because they are not sure whether there is some stream of legitimate messages which are going to be unsigned. Have you ever think about how much personal data you have shared online? Still hesitating to generate Your DMARC record? Avoid losing money. The only way these problems can be addressed is when senders and receivers share information with each other. Receivers inform senders about their mail authentication infrastructure when senders tell receivers what to do if a message is not legitim. 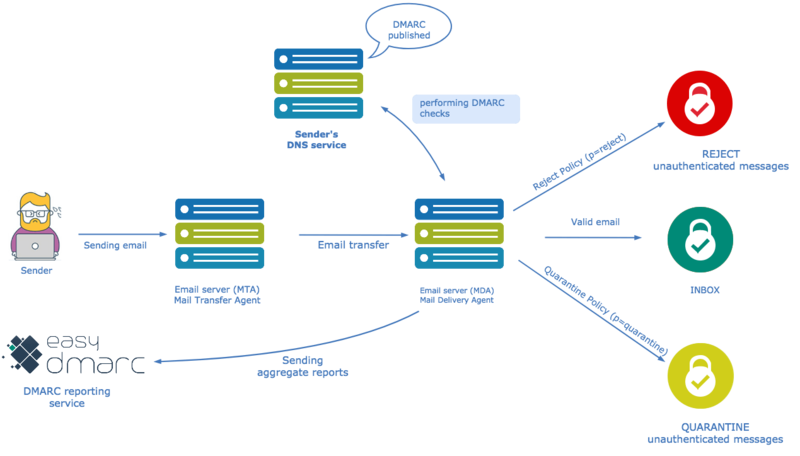 The goal of knowing what is DMARC is to know that DMARC builds senders’ and receivers’ collaboration and improves mail authentication practices of senders and enable receivers to reject unauthenticated messages. The example above, testing for alignment with DMARC, is applied at the same point where ADSP would be applied in the flow. All other tests remain unaffected. 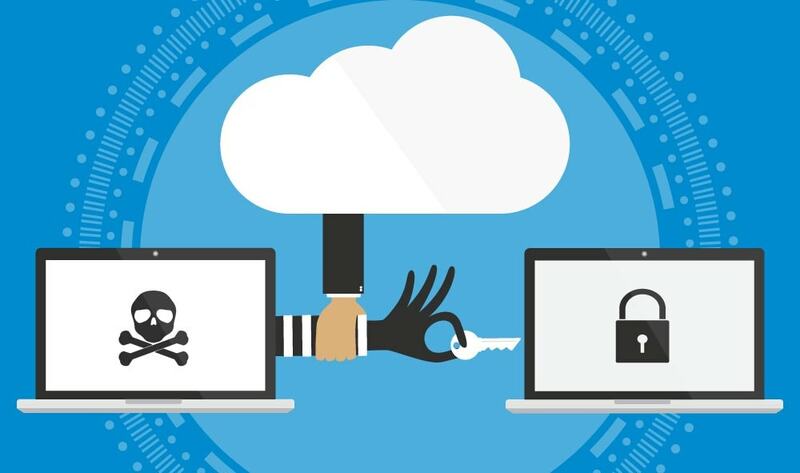 85% of consumers will not do businesses with a company if they have concerns about its security practices. In the DNS TXT records, there are DMARC policies (RR) and announce what an email receiver should do with non-aligned mail it receives. In this example, the sender requests the receiver to reject all non-aligned messages and send a report. This is a specified aggregate format, about the rejections to a specified address. If the sender is testing its configuration, he/she can replace “reject” with “quarantine”. Quarantine policy doesn`t reject the message with a strict policy but, can make it go to the spam box. Note: The examples in this chart are illustrative only and aren`t relied upon in lieu of specification. Please refer to the specification page for the most up-to-date and accurate version. DMARC is based on real-world experience by some of the world’s largest email senders and receivers deploying SPF and DKIM. The specification takes into account the fact that it is impossible for an organization to flip a switch to production. There are a number of built-in methods for “throttling” the DMARC processing. After this, all parties can ease into full deployment over time. If You already know what is DMARC with details it`s easy for You to protect Your email from phishing. 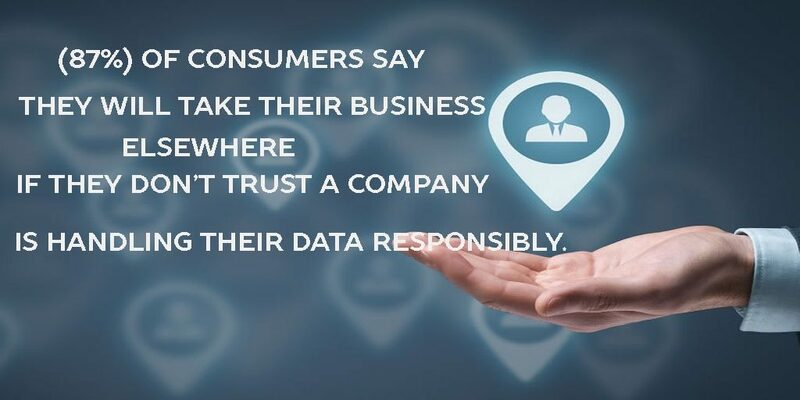 Don’t forget that Your business privacy is Your customers’ happiness. Interested to know more about what is DMARC? don`t hesitate to write our experts for detailed instructions and help.